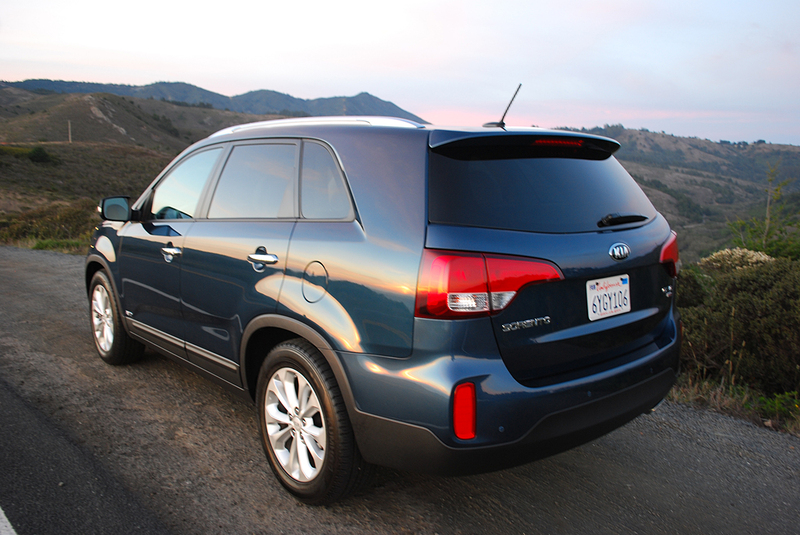 Last year, Kia transformed its Sorento from a truck framed SUV to a crossover style unibody. 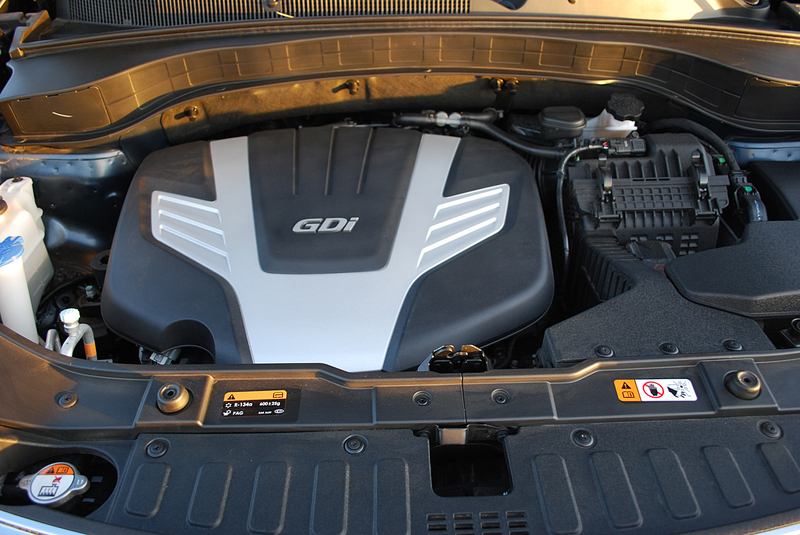 That big switch relegated the 2013 version to such minor revisions as new badge work and optional 3rd row mini-seats. The model range covers the gamut from entry level front-wheel-drive, 4 cylinder offerings like the $23,950 LX, to the penultimate offering we spent a week in, the $31,700 EX. Top of the model line is the SX, which stickers for $33,400. The all-wheel-drive EX model features a 3.3 liter V-6 using variable valve timing and direct fuel injection to produce 290hp and enough torque to tow 3,500 pounds. You’ll be operating a 6-speed automatic transmission without the assist of steering wheel paddles. The V-6 in this 4,235 pound vehicle, records just 18 MPG in city operation and 24 MPG on the highway. A round trip from Mill Valley to Santa Rosa surprised us by taking the fuel needle from full to half full in just 120 miles. The Sorento EX is so softly sprung that the buckled pavement typical of California back roads causes it to pitch to and fro like a carnival ride. Comfort improves considerably on freeway jaunts where the independent front and rear suspension systems cope better with smooth pavement. Steering is fingertip light, with little information about front wheel position filtering back through the smooth leather wrapped rim. 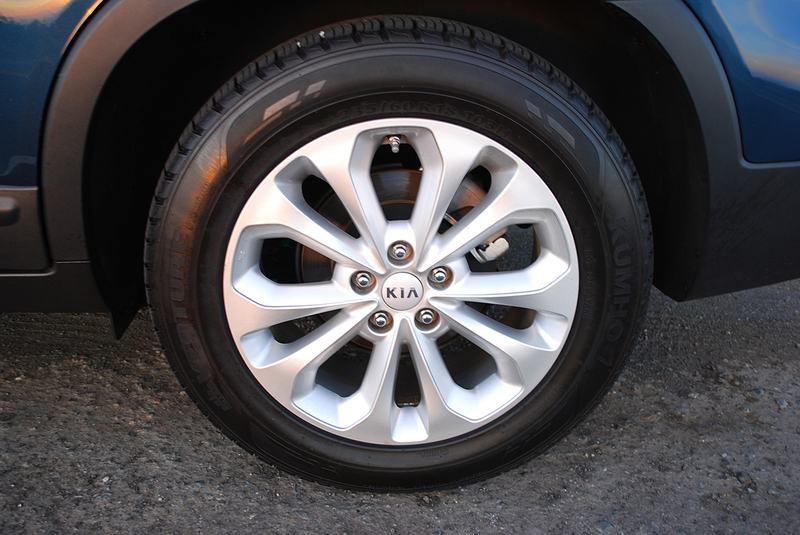 Although Kia provides the EX with standard 18 inch alloy rims wrapped in premium Kumho Venture rubber (235/60R18), you’ll rarely put these beefy contact patches to the test because the jiggling EX will dissuade you from cornering too vigorously. At the moderate pace thus dictated by this SUV, you will, however, enjoy luxury and comfort beyond expectation in this price range. Of course, part of the bounteous swaddling stems from the fact that KIA fitted our EX with a “Touring” package that added a whopping $4,000 to the base price of the Sorento. Included in this compendium were such niceties as a Navigation System with a prominent 8 inch display panel. Unfortunately, unless you tap the “I Agree” button on the screen’s legal release document every time you start the Sorento, you’re forced to view this ridiculous warning in perpetuity. Also provided by the Touring Package are an Infinity Surround Sound System, Ventilated and Power Adjustable Front Seats, Blind Spot Detection, and the Biggest Sunroof You’ve Ever Seen. When you factor in good visibility from the driver’s seat, oversize rear view mirrors, and very refined cruise control, the Sorento EX becomes a willing long distance cruise partner. Standard inclusions at the EX level include keyless push button start, tilt and telescoping steering wheel, tire pressure monitoring system, BLUETOOTH wireless technology, USB input jacks, 3 months of free SIRIUSXM service, and a rear camera display through the navigation screen. 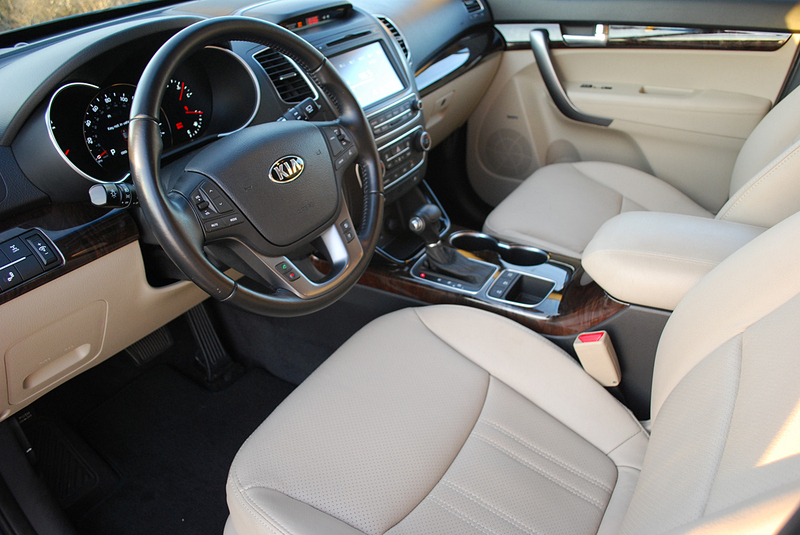 If you opt for the $715 third row seat, you’ll be able to carry 5 adults and 2 children in the Sorento at the same time. This makes the EX an attractive proposition for large families more concerned with practicality than performance. 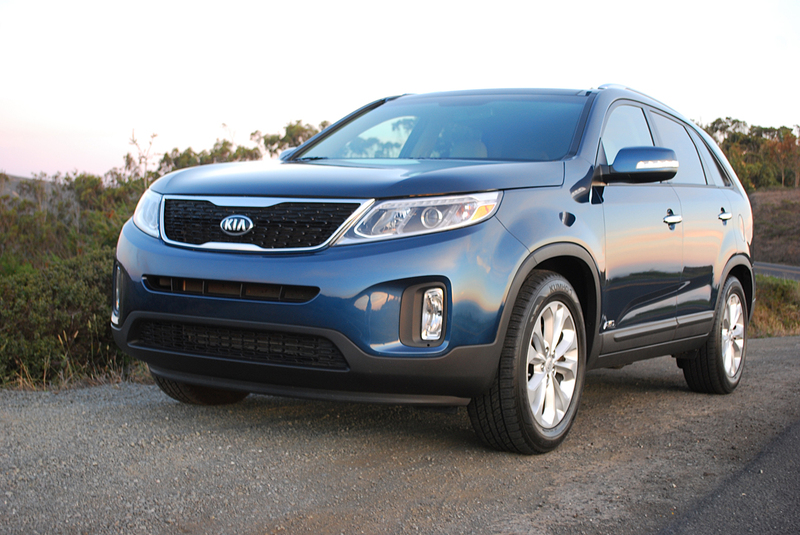 While the latest Sorento will never confuse you with BMW-like handling, it accomplishes more mundane driving chores with a panache and refinement that exceed the modest expectations suggested by its cost.